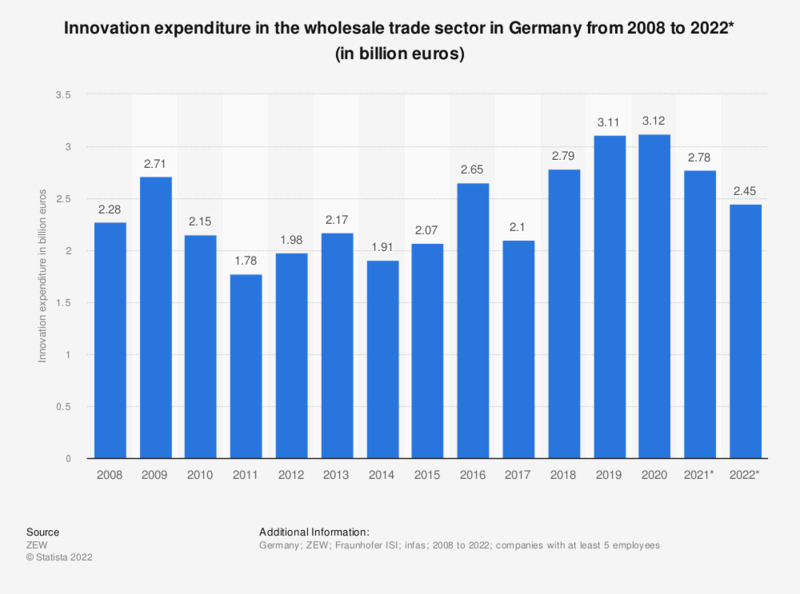 This statistic shows the innovation intensity of the wholesale trade sector in Germany from 2008 to 2019. The term innovation expenditure refers to the expenditure on research and development as well as innovation-relevant spendings on fixed immaterial assets, education, marketing, conception, construction, design and production and distribution preparation. In 2019, German wholesalers spent roughly 2.21 billion euros on innovations.